There is a downside to tech cities. On the US west coast, where the biggest tech companies have their headquarters, there is also terrible homelessness. In this podcast episode, Adrian goes to Seattle, arguably America’s fastest-growing tech metropolis. He poses the question; why is homelessness is so bad in a city that’s booming so much? 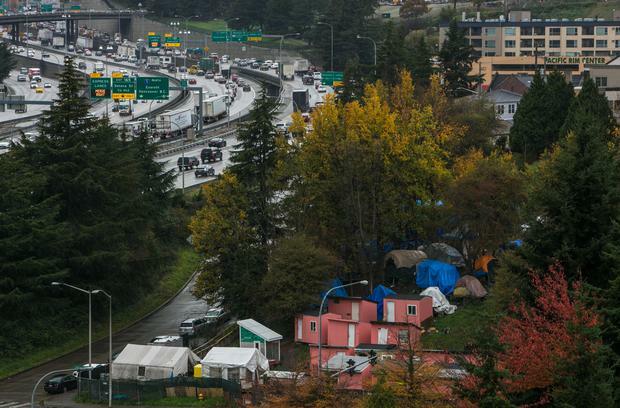 While Amazon, Microsoft, Boeing and other huge firms soar, so does the number of people in tent cities alongside roads in the city. It’s a dystopian scenario. Adrian asks the leaders of local homelessness organisations why it’s happening and talks to one local politician about the connections between big tech companies and the poverty problem. Niclas Rolander Ericsson has soared on signs that CEO Borje Ekholm’s turnaround of the Swedish maker of wireless networks is taking hold. Yoojung Lee Colin Huang’s decision to quit Silicon Valley and return to China is proving one of the more ludicrously lucrative career moves in recent years, even in this era of extreme wealth creation. Shiho Takezawa DNA testing at home in Japan is starting to gain traction as more people age and seek answers about their risks for diseases. Previous articleGarmin Vivoactive 3: Is this the perfect tracker for the all-rounder on the go?